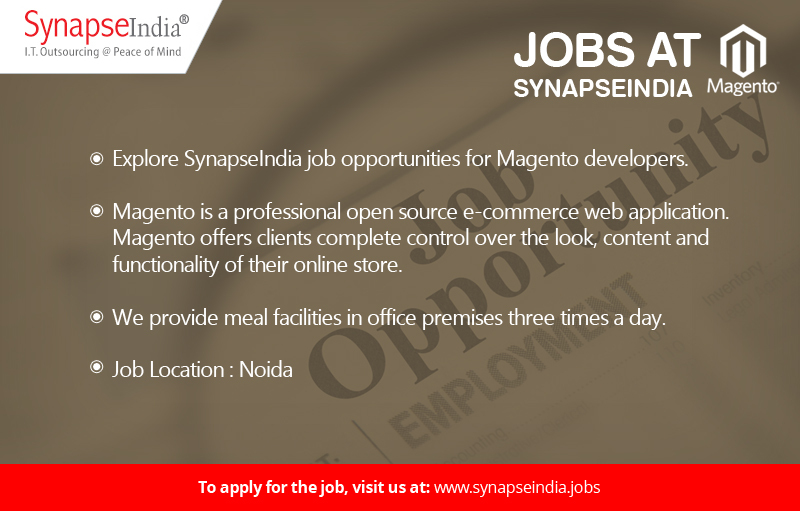 Explore SynapseIndia job option for Magento developer profile. The job location is NSEZ, Noida. Magento is a professional open source e-commerce web application. Magento offers clients complete control over the look, content and functionality of their online store. Shamit Khemka founded SynapseIndia in 2000. Under his guidance, the company has emerged as a name to reckon with in the global IT world. We have successfully completed 9500+ on most advance technologies of the world. We provide meal facilities in office premises three times a day. We have a qualified team of experienced Magento Developers that will help you get complete practical knowledge of Magento Platform.